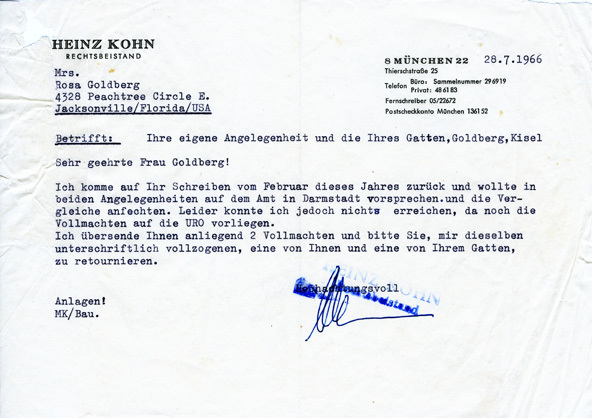 A letter from attorney Heinz Kohn in Munich to Rosa, dated July 28, 1966. In reference to Rosa's letter of February of that year, Mr. Kohn reports that he tried to contest the decisions of "the office in Darmstadt" but was unable to because he was lacking power of attorney. He asks that Rosa and Kisel each sign a power of attorney and notes that the necessary forms are enclosed.